Cinemax is very confident in its adaptation of Robert Kirkman and Paul Azaceta’s Outcast, to the point where it renewed the show three months before it even premiered. That premiere still hasn’t happened (and won’t until June 3) but the premium cable network is once again making a big deal out of how successful it thinks the series will be. This time, it has posted the entire pilot episode on YouTube, meaning even the heathens who don’t pay for TV at all—let alone fancy TV—will be able to watch it. Hacktivists may recall that this is the same strategy USA used for the Mr. Robot pilot, and that show went on to become the surprise hit of the summer, so Cinemax is probably hoping that this will be similarly good for Outcast’s ratings. The premiere is embedded below, but much like we did with Mr. Robot, we’re going to skim through the video and pull out some random highlights so you can get a taste of the show without having to watch it. It opens with this sweet disclaimer, so hopefully there’ll be some violent images or adult situations coming up. A little over a minute in, here’s the logo. Nice and spooky. Here’s a bloody kid eating chips. 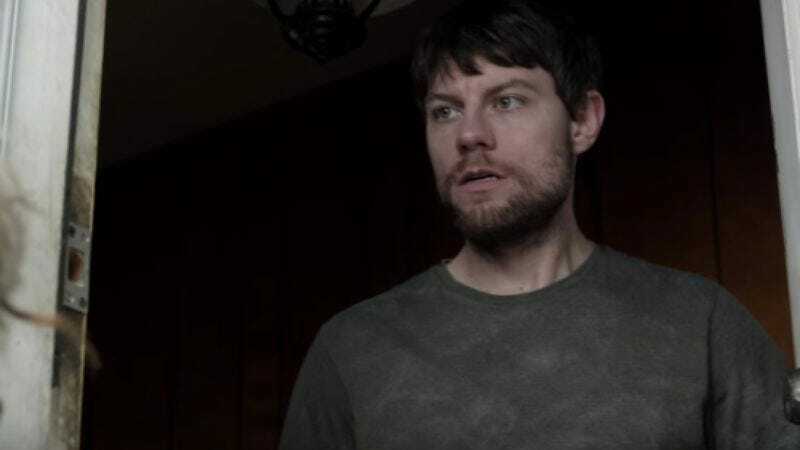 Star Patrick Fugit, most likely frustrated with something related to demonic possession (that’s what Outcast is about). David Denman from The Office is a police officer. He’s probably still pissed at Jim for kissing Pam. At the halfway point, Fugit enters a scary room to talk to a scary kid. Scary kid doing some demon stuff to Fugit. This looks like a flashback to some bad stuff going down. What does this all mean? It’s hard to say without actually watching the pilot, so you should probably do that instead of just looking at these pictures.